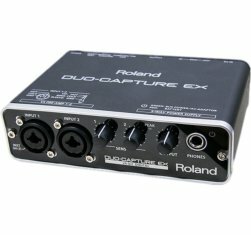 The Audio Interface brings all your inputs together before they head into your computer for recording. 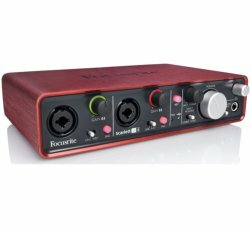 As a result the choice of an Audio Interface is critical in you home recording studio design. But with so many options how can you know which one is right? The good news is that as you gain experience, you'll be much more comfortable dealing with all the different specifications and features. 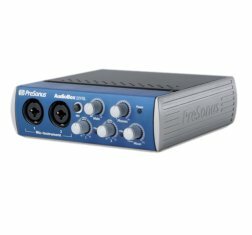 In the meantime, this guide is aimed to help you navigate the various options and arrive at an Audio Interface that will serve your needs. The models listed below are some that I recommend based on personal use and experience. 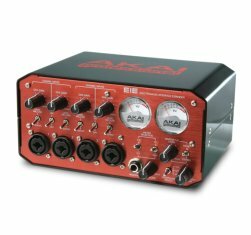 For more detail on the pros and cons of each unit check out the Audio Interface Reviews here. 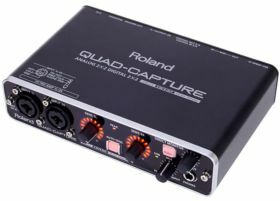 Or to jump straight to my most recommended units visit my article on Top USB Audio Interfaces Under $300. Bit Depth / Sampling Rate: Measure of the quality of the A/D converter. 24 bit is what I recommend for a bit depth. Sampling rates vary from 44.1 kHz all the way to 192 kHz. 44.1 or 48 kHz will be fine for you, the others are really marketing tools more than technical upgrades. Total Inputs: Total number of inputs. These can be shared between XLR and 1/4" (combo jacks) or dedicated for one or the other. Make sure you check the number of preamps associated with each input. Companies love to claim 10 inputs, only for you to find out later that only 2 have preamps and the rest are line-level. Outputs: Total number and type of available outputs. Includes Main L/R pair that typically go to studio monitors. MIDI I/O: # of MIDI Inputs / Outputs. MIDI is a one way street so these will come in pairs (1/1 for example). 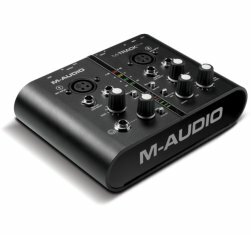 It's rare for any interface to have more than 1 MIDI and 1 MIDI out, but that's okay since most MIDI devices now can be connected via USB. Bundled Software: Included DAW recording software. Note that this is usually a "lite" version and not the full suite. It is still great to start out with before making a bigger investment. Price: The approximate retail price of the unit.